Get your meats to the pefect temperature with a BPS Thermometer. 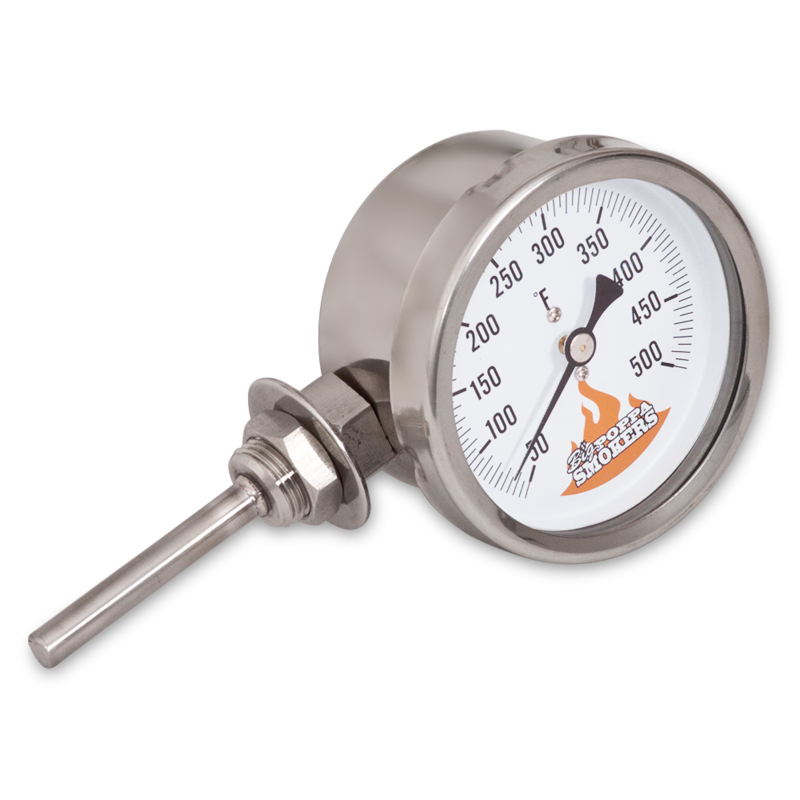 The thermometer rates up to 550 degrees and is stainless steel for durability. Please Note: The Big Poppa Smokers Drum Smoker Kit includes a BPS thermometer and can be used as a replacement or a spare part. Designed to be used with the BPS Drum Smoker Kit. Come join us at www.drumsmoking.com for a great spot to learn, share and discuss the wonderful world of Drum Smoking. Love this product I use this gage for cook-outs,family get togethers, competitions. It’s very accurate.